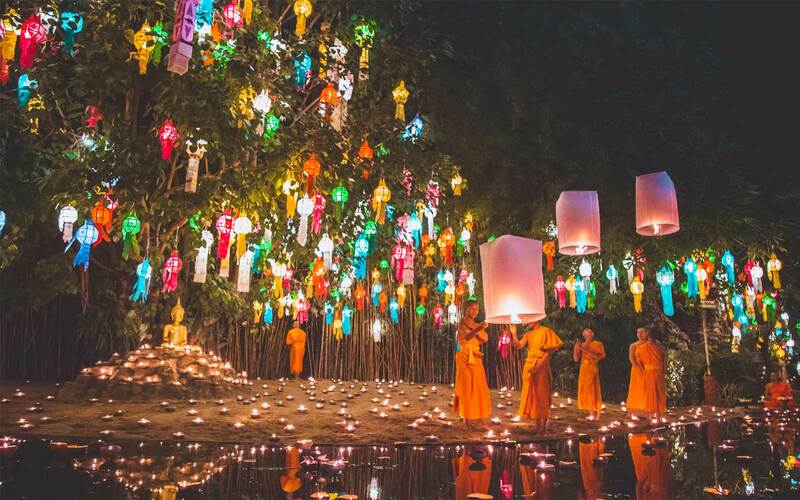 Every year, the Chiang Mai Lantern Festival called “Yi Peng” is celebrated for three days during the full moon of the 12th lunar month. It’s the night before Loy Krathong, the famous lantern festival of Thailand and surrounding countries. People release decorated, floating baskets on the river and sky lanterns up in the air in a spectacle where magic meets tradition. Photos and videos are always a great travel inspiration, aren’t they? 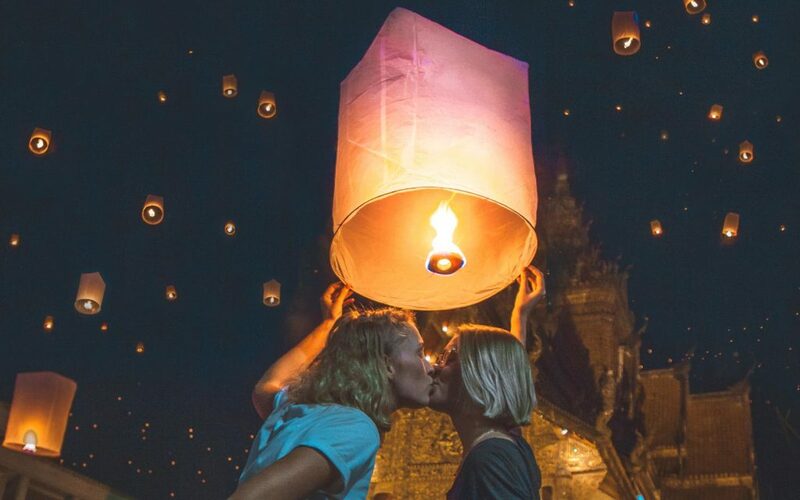 After seeing photos of Chiang Mai, Thailand and the dreamlike Yi Peng Festival on social media, we knew we had to go there. Plus, we were excited to learn that the lanterns in Disney’s Tangled were based off a real event. So this past November we visited the festival and it lived up to our expectations – it was magical. 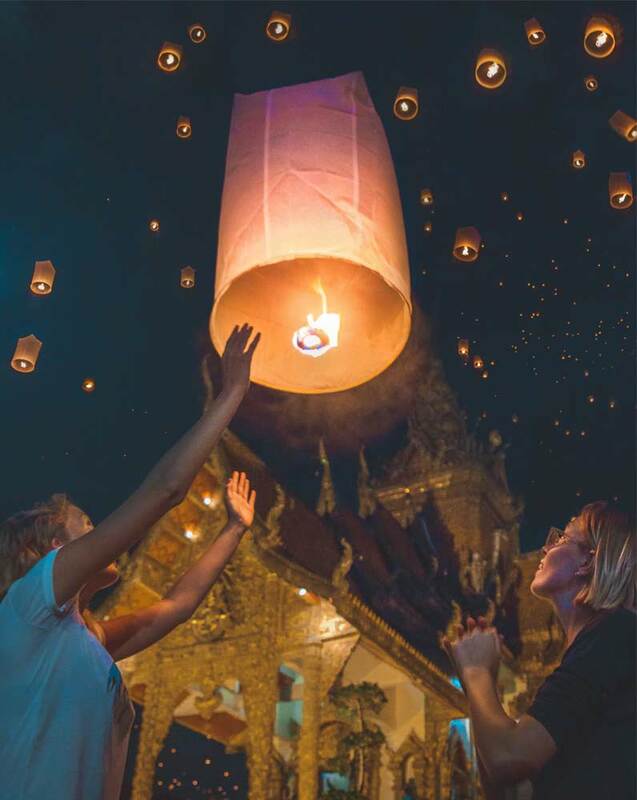 You would think that a huge annual event like the Chiang Mai Lantern Festival would be well organized with clear information online, but it wasn’t. We discovered that the pictures of a touristy, mass lantern release take place at the Mae Jo University in a private event that tickets gets more expensive for every year. We knew we wanted to go for something more traditional. To find the best spots, we arrived in Chiang Mai a few days early and asked around where to go. Locals simply told us, “everywhere.” Some of them spoke of a Buddhist ceremony. Others mentioned the Ping River and Narawat Bridge. Still others told us of a parade. It was all very unclear so we decided to wait for the festival itself to unfold. We had looked forward to this event for a long time and it was finally happening – the opening of the festival. 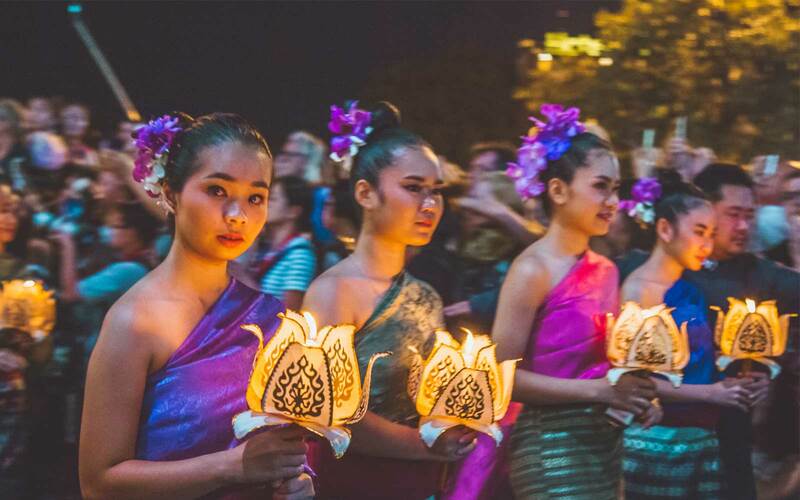 Thousands of lights lit up the city of Chiang Mai, and on a large stage Thai dancers performed. Hundreds of lanterns lit up the square and it was only “just” opening night! In our excitement, we had already bought a lantern for the next day, which came in handy when we walked passed a magical golden temple. It was the perfect place to release our lantern. 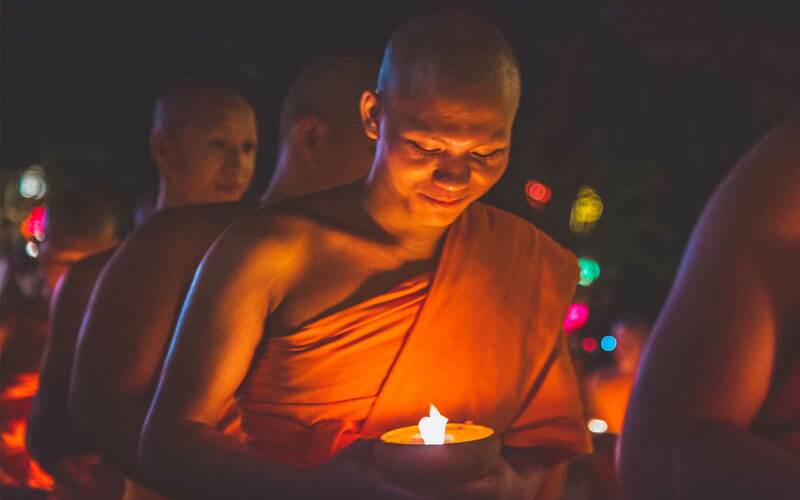 After visiting another temple for a special Buddhist meditation ceremony, we were eager to light it. We are Roxanne and Maartje, two girls in love with each other and the world. In March 2017 we left the Netherlands to travel. We started in Russia and traveled by train, bus and an occasional flight through Asia to see all her wonders. We don’t have any plans to go home yet. We will see where the wind takes us! Follow along with more of our travel moments on our blog, Once Upon A Journey, and @onceuponajrny on Instagram.